I had to make a necklace and earring set for myself for Christmas this year. I realized that I do not have any holiday jewelry and that just seemed to be a very strange oversight on my part. 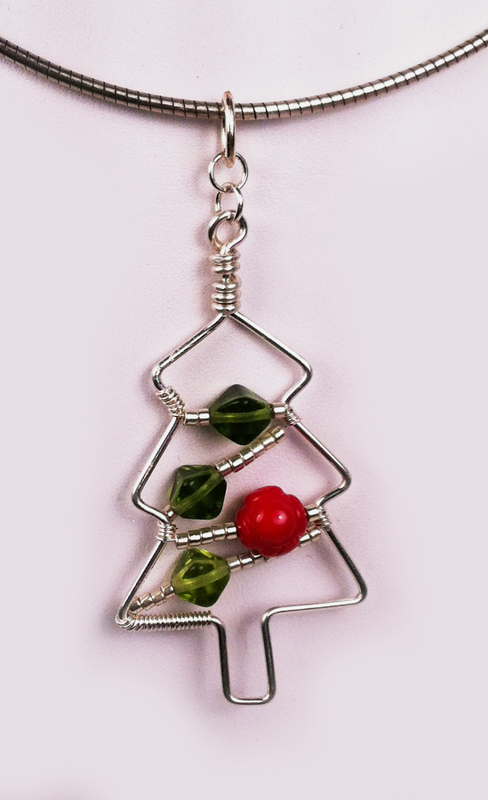 So, here are my Christmas ball earrings and tree pendant. I am really happy with how they turned out. I did a happy dance! 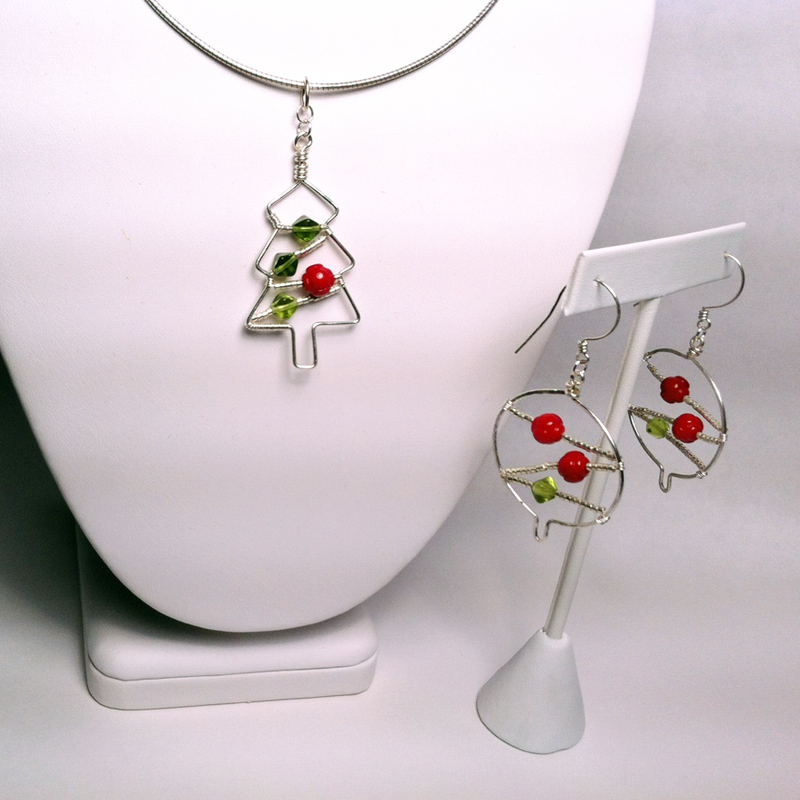 I used sterling silver 18 gauge wire for the tree and ball shapes, 26 gauge for the garlands, and 21 gauge for the ear wires. I have some really pretty glass red florets, glass green diamond shapes, and silver delicas that I used to make the garlands. The pendant was a lot of fun to make. I just used a pair of flat-nose pliers to make the shape, bending it until I liked the general style. 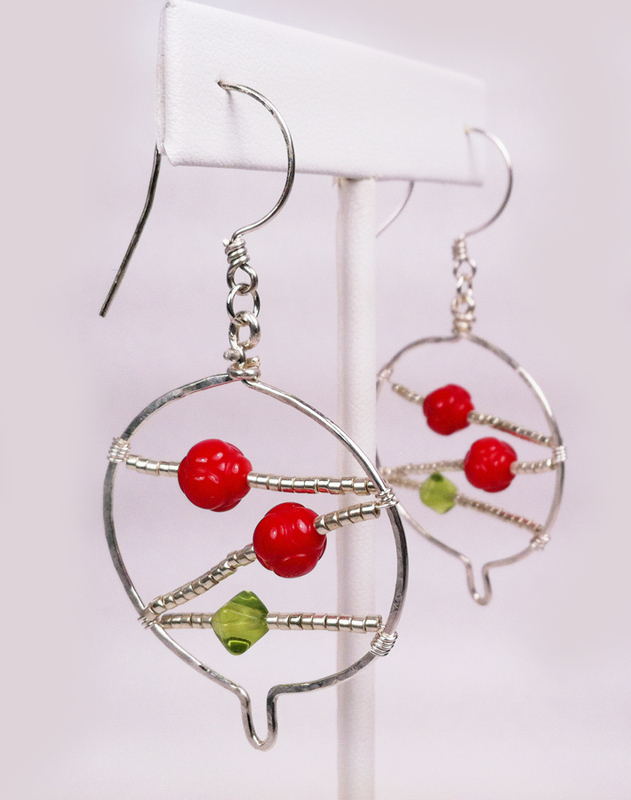 I just love the Christmas ball earrings. I did hammer the 18-gauge wire after I made the ball shapes. I am so happy with how these turned out and will be wearing them to work tomorrow (probably every other day until Christmas too).